Introducing to you the latest menu introduced by Wendy's Malaysia! with friends and family during this festive season. Inspired by the flavours of our neighbouring country, Indonesia, Wendy's Malaysia introduces a wholesome set meal with Rendang as main dish in their latest menu. The well-balanced diet in Wendy's can be enjoyed with a choice between Beef Rendang Deluxe and Chicken Rendang Deluxe. It's fast but healthy! The Beef Rendang is a spicy sweet caramelized curry, in which the spiciness is toned down to meet local expectations. The succulent beef chunks are 100% originated from Australian beef, so rest assured that you'd be delighted for its quality and freshness. It is slow-cooked into soft, juicy perfection and well-infused with thick rendang gravy. The Rendang is completed with a bowlful of Coconut Rice, accompanied by Crispy Papadums, oven-baked Potato Rendang and slices of fresh cucumbers. So much as I fancy beef, I find that the Chicken Rendang is even better because of the smooth, soft meat especially when it is served piping hot from the kitchen. Back to my favourite of the evening, every bite of the chicken exudes rich flavours of coconut, lemongrass and chilli. If I were to have any complaint at all, I'd say I haven't had enough of the delicious gravy! #7 How can my gastronomical journey be complete without Onion Rings at Wendy's! For every purchase of the Rendang meal, feel free to add-on the signature onion rings for only RM2. 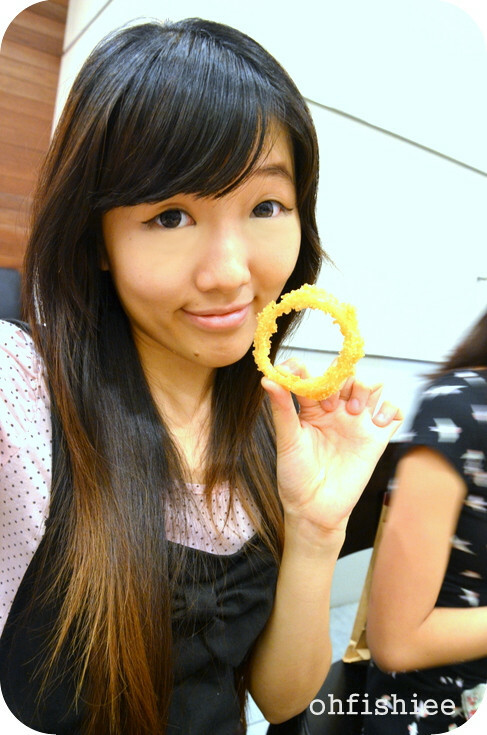 The onion rings is super HUGE and crispy! It is freshly served from the fryer, so be careful it may be too hot for consumption. and I really wonder where had the smell gone! One box isn't enough once you got hooked on it! under the cripsy layer of breadcrumb. Since we're already at Wendy's, why not treat ourselves with their best-selling burger? The patty is 100% pure beef, simply juicy and thick enough to satisfy my cravings. It is served with pickles, sweet red onions and melted cheese on the buttered, toasted bun. Every Combo meal comes with Regular Natural-Cut Fries and Carbonated Drink. The French fries is healthier in a way that it is cooked skin-on in 0 grams trans-fat oil and sprinkled with natural sea salt. By the way, if you're a fan of potatoes, Wendy's serves freshly-baked potatoes topped with lots of cheese, broccoli and chilli. #12 Coca-Cola for the Burger! Despite of feeding my stomach with lots of delectable delights, there is always some space left for the desserts! Here you can go for a classic Vanilla or Chocolate Frosty, or blend in some Oreo's for a Twisted Frosty. 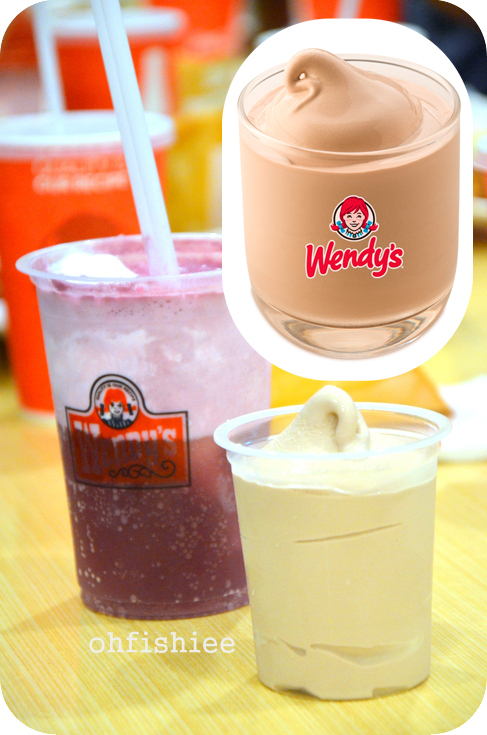 Also, you can customize your own Frosty Float with your choice of soft drink. thicker, smoother and more enjoyable. As for myself, I prefer going back to basic. The vanilla is very creamy and milky, with a pretty thick consistency. 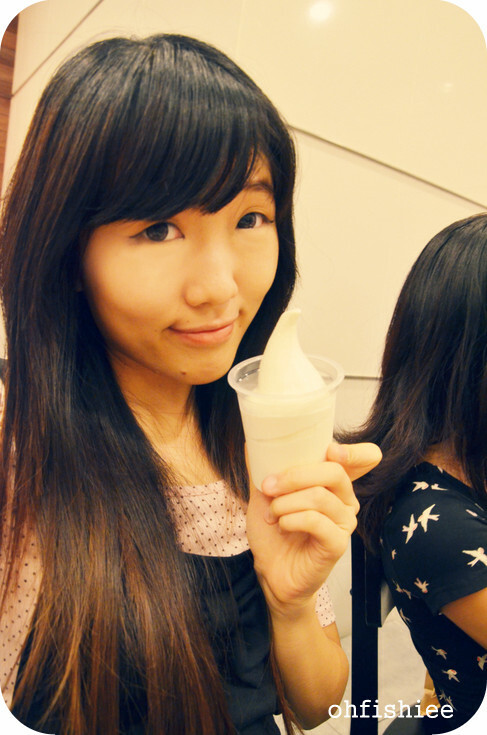 The best thing I love bout it is that, it is not overly sweet and does not melt down easily. Here's some of the interesting facts I found bout Wendy's. True to its slogan, it's fresh food, made fast! Come and dine with your friends and family this Ramadhan! **Note: This food review is made possible by Nuffnang Malaysia. I've never been to Wendy's! wow chicken rendang at Wendy's. I like their beef burger. always been one of my favs, the shrimp burger's nice, and the chilli too!